Don't own your own ATV? No problem! 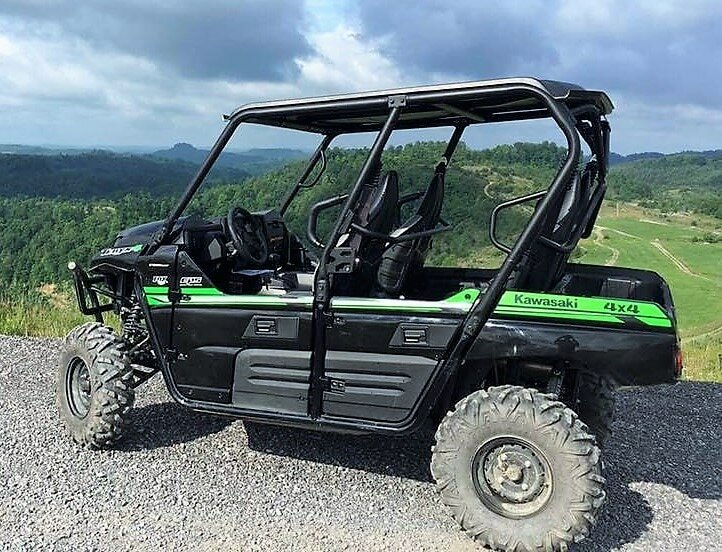 You can rent an ATV Side by Side from us! You must be 18 years or older to rent equipment. Driver must have a valid driver's license. Children may ride, but must use a car or booster seat, depending on age. Rent a four-person side by side for two hours for $110; four hours, for $190; or eight hours for $320. Two-hour time blocks begin at 9:30 a.m.; 12 noon; and 2:30 p.m. Spearhead Trail permits are required for each rider in the rental unit. Want a guided tour? Call the office for details. *Helmet is required. Helmets are available to rent if needed for an added cost of $5 per helmet. *Spearhead permit required to ride on Spearhead Trails System. Day passes and annual permits are available and may be purchased in the Southern Gap Outdoor Adventure campground office. After checkout, please complete and sign the attached Waiver -- which is required -- to participate in this activity.